Susan Butts-Griffin is a 3rd generation native of Dallas and 2nd generation graduate of SMU. Susan has over 16 years experience working in real estate sales as a broker and personal investor. Susan has a broad range of expertise in residential and commercial sales throughout the Dallas metroplex. She is a buyer advocate and listing expert and enjoys working with first time buyers as well as with multi-million dollar developers. Susan has worked on numerous high profile townhouse and high rise developments and has been very successful in single family homes sales as well. D-Magazine Best Realtor since 2005. After graduating from SMU with a BA, Susan followed in her siblings footsteps and attended NADA – National Automobile Dealer Association training. Susan and all of her siblings went to work at Henry Butts Oldsmobile in different areas of management. During this time the Dallas real estate was booming and the tollroad expansion down the Dallas Parkway was creating a lot of interest in the land at Henry Butts Oldsmobile. By this time Henry S. Butts III had acquired numerous other franchises such as Maserati, “Infamous” Bricklin, Hyundai, Suzuki, Sterling and they needed more space. Her father received an offer for the land he could not refuse and this led to the construction of the largest dealership in the nation on nearly 25 acres at 544 and Midway. The unique design and golden pyramid main building received so much attention it made in the National Enquire. Unfortunately, Henry S. Butts III died unexpectedly of a heart attack in 1986 during the construction of the new facility. The family persevered and completed the new dealership in spite of a difficult slump in market after the oil and real estate crash hit the Texas economy very hard. They kept the dealership in operation for ten more years prior to selling the franchises. Susan and her siblings took their proceeds from the sales and invested in real estate. Soon after getting her real estate license she began working in residential sales while she continued to invest in her own real estate purchases. Susan worked with several developers during this time and was a lead agent at 2011 Cedar Springs one of the first high rise condos downtown that sold out prior to completion. In 2006 Susan acquired her brokers license and opened up her own brokerage office with Bill Griffin called Bill Griffin Real Estate. Susan helped design and brand the new company logo and signs that got the attention praise of the entire real estate community. Her skills for marketing led her to be hired by another condo developer to market Drexel Highlander, a luxury high rise building on the edge of Highland Park. Bill Griffin Real Estate has been very successful at marketing new multi-family developments through out Uptown, Downtown, Oak Lawn, Turtle Creek, Park Cities, East Dallas, Lakewood and all close in and emerging areas. This should come as no surprise since Bill Griffin was at the forefront of town house development starting in 1998 when he was the head of marketing for City Homes original developments designed by Ron Wommack. Bill Griffin and his company have successfully marketed over 60 new construction townhouses, condos and high rise developments. Susan Griffin works with numerous commercial investors looking for land and warehouses in industrial and emerging markets. “The Dallas Design district and Trinity corridor are very exciting areas to research and invest in right now. The triumphant completion of the Margaret Hunt Hill Bridge designed by Santiago Calatrava and the new Sylvan Bridge has propelled Dallas into new arena that will set it apart from other cities. These bridges are creating tremendous activity and new development in the Trinity Grooves area and Bishop Arts District. Dallas is transforming and evolving in all areas surrounding of downtown and beyond including the arts district with the Winspear Opera House and world renowned museums and parks such as the Perot Museum of Nature & History, Nasher Sculpture Garden and Klyde Warren Park. Lower Greenville, Farmers Market, Deep Ellum and Cedar Hill are all having a resurgence of new development which will be a benefit to all Dallas home owners and investors. 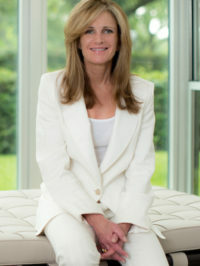 Susan’s passion for new developments is equaled by her passion for modern homes and mid-century modern properties and has sold numerous unique homes at record breaking prices for her clients. “If you have a unique home you should be paid a premium when you go to sell it. I know how to find the perfect comparable sales to make sure they appraise without any issues. It is all about supply and demand and if you have something no one else has then it has more value and your agent should be willing to test the market. Susan recently remodeled her own mid-century home in University Park designed James Wiley who worked with Bud Oglesby. I tired update it without trying to turn it into something new to retain the original integrity and design. Knox View Homes 5012-5018 Vickery Blvd. 75206 Knox View homes is an exclusive architect designed community of four single family innovative modern residences located in Knox District one of most coveted, upscale neighborhoods in Dallas. Exceptional architectural elevations with creative interior plans that incorporate indoor outdoor living on every floor set these homes apart.